I remember hearing years ago in school something to the effect that Eskimos have more than a hundred different names for snow. Recent investigation of that thought took me to a ponderous discussion of linguistic relativism. Whatever the number, it seems obvious to me that a people living in an environment so dominated by a substance would develop a very nuanced relationship with it. Consider recreational users of backcountry in winter. Skiers, hikers, climbers etc. With experience, they’ll develop acute sensitivity to the nature of the snow through which they tramp, slide, andor ascend and not only because it governs the nature of their progress. The evolution of a particular season’s snowpack determines its proclivity to avalanche. Depth Hoar is made of cup shaped large grained faceted crystals near to the ground in a larger snowpack formed by temperature gradients. Those are just a few. ** None would enter the consciousness of one bereft of experience. Couch potato or equatorial vision of snow would suffer from what New Yorker art critic Peter Schjeldahl calls the “pandering ghosts” of a reproduction. 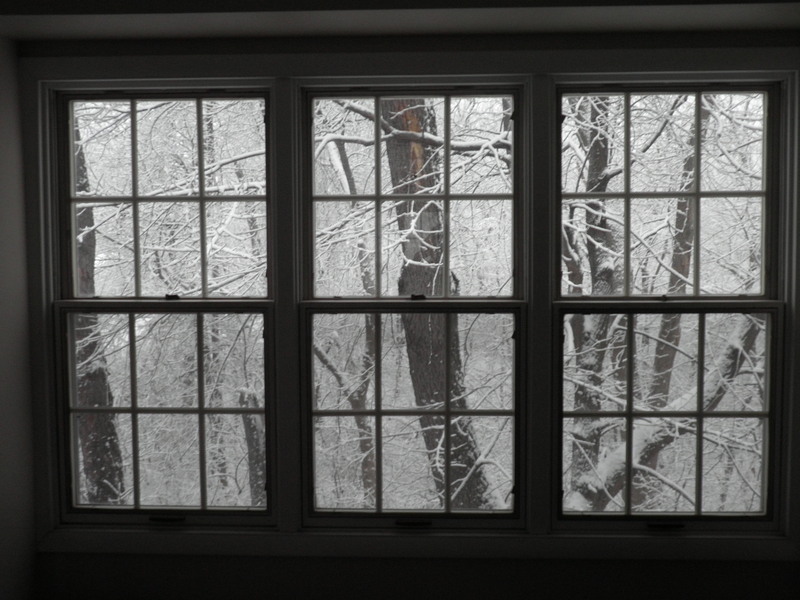 An image of snow on a mountain would reflect their preconceived notions – would show them what they wanted to see. Like an un-defrosted freezer in the case of the former and an air conditioned heaven maybe in the latter. Wilson “Snowflake” Bentley was a New England farmer who found endless joy in, you guessed it, snowflakes. He was born in 1865 and never lost the magic that all but the grim and grisly find in a season’s first snow. “When a snowflake melted that design was forever lost. Just that much beauty was gone, without leaving any record behind” he wrote. He spent a lifetime photographing snow crystals. Some 5,000 separate images he recorded. Imagine how difficult it must have been! Cold obviously, but how to get individual crystals onto a slide without breathing on them or causing them to fracture. In an accompanying narrative, he’d then wax exuberantly about their beauty. In a paper written in 1902 he used the words beauty or beautiful nearly fifty times. Snow crystals Nos 716 and 718 were “very choice and beautiful”. 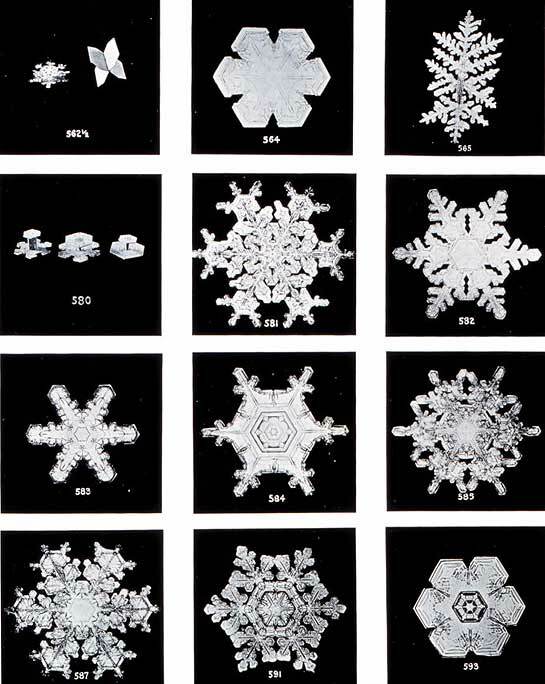 Nos 722 and 723 were “charming patterns in snow architecture.” They were “gems from God’s own laboratory”. No 781 is “wonderfully beautiful…”. What a great way to go through life, eh? ***I learned of Bentley in a wonderful book: Exuberance – The Passion for Life by Kay Redfield Jamison. ****While reading about snowflakes, I also learned that it is an incredible experience to listen to them hitting the surface of a body of water from a position beneath it. Have to remember to check that out. This entry was posted on December 11, 2009 at 8:15 pm and is filed under couch potato, Science, skiing. You can follow any responses to this entry through the RSS 2.0 feed. You can leave a response, or trackback from your own site. Let’s go hit the slopes!!! I love this.